Hot damn, Fortuna. We've barely cooled our bootheels from last week's rodeo action and, for the second weekend in a row, you've got serious horsepower coming to town. 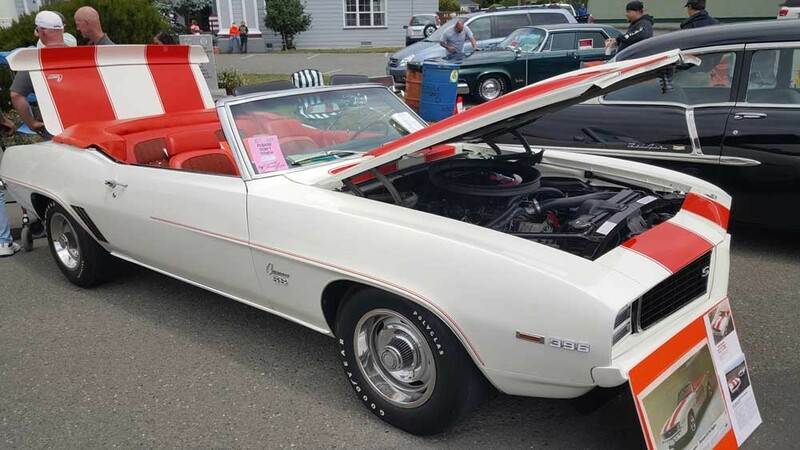 Trade churros and chaps for Chevys and capris and meet up on Main Street for a weekend of nostalgia at the Fortuna Redwood AutoXpo, July 27-29 (free admission to all events except the dance). Lovingly restored cars, a sock hop, tractor pull, artisans fair and engines purring up and down the strip are just part of the weekend's full tank of fun. Start your engines Friday at 6 p.m. for the participant-only cruise down Main Street. At 5 p.m. you can swing by the Artisans Faire at Rohner Park. (It'll be up and running through Sunday.) Then take the party over to the River Lodge at 8 p.m. for dancing and rock 'n' roll from Merv George Band at the Friday Night Dance ($5). Saturday, check out the bold and the beautiful at the Judged Car Show from 9 a.m. to 4 p.m. at Rohner Park. Go back to your glory days at Fortuna High for the Show & Shine/Vintage & Exotic show also from 9 a.m. to 4 p.m. in the school's parking lot. Trophies for both shows will be awarded Sunday at 10 a.m. at Rohner Park. There's a Swap Meet & Car Corral, Hit-and-Miss Antique Engine Gas Up, Antique Tractor and Farm Equipment, Antique Tractor Pull and Poker Run rounding out the weekend's events. And Fortuna's famous deep-pit barbecue is what's for dinner Saturday at 6:30 p.m. But get there early — it will sell out. Check out the full schedule (plus photos and history of the 28-year-old event) at www.redwoodautoxpo.com.